The long awaited Final Fantasy VI has made it’s way to the Play Store as of last week, and JRPG fans of the series couldn’t be happier. Final Fantasy VI is hailed by many who are fans of the series as the greatest game in the series, and by many fans of JRPG’s in general as one of the greatest if not the greatest JRPG of all time. The Final Fantasy basics we all know and love carry on, with the overall story being based around a theme of Light vs. Dark, and incorporating magic in a way. Final Fantasy VI is a little different from the rest of the previous games before it, in that magic is actually no longer present in the world except for with the main character who happens to be the last person who can use magic. The story takes place a thousand years after the war of the magi which left the world in times of devastation. Magic is seemingly non existent and the world has been rebuilt over the years with new technological advancements, using the power of machines, steam engines, and gunpowder. The evil empire has started its conquest of placing nearly everything it possibly can under its control, including the last remaining person on earth that can cast magic. The evil empire knows of your abilities and has you enslaved so that it may try and eventually harness your power for it’s own dastardly plans, but through a series of chance meetings and events, you escape the Empires clutches and set out on the epic journey ahead. You are not completely free of the Empire however, as you run into them at multiple points throughout the rest of the game inevitably leading to probably one of the most compelling outcomes in any Final Fantasy game. Final Fantasy VI is similar to Final Fantasy V, in that Square Enix decided to keep this title as true to the original as possible. This means no updated 3D visuals like in FFIII or FFIV. Little things have been updated and changed however, to give it a more modern feel like the enhanced original graphics which have been “painstakingly redone” with the help of Kazuko Shibuya, the graphic designer who was involved with every other previous original Final Fantasy title from one through five. Other adjustments like touch based controls have had there face lift to accommodate the use of on screen movement, although the control pad is a little weird to get used to and happens to be a tad touchy at times. Other minor things seems to have been changed here and there as well, like little bits of dialogue from the original title, but overall it’s a great game and probably one of the best JRPG games you will ever get your hands on. This port over to android includes a couple new things like the new magicites and events that were first introduced in the 2006 remake of the game, as well as Google Play Games Services for G+ sign-in for achievements. Sadly, still no cloud save just like with the previous ports, but this is nothing new. As with all FF titles that have been released to Android, expect to pay a high price for this game compared to what you may be used to, and make sure you’re ok with forking over $15.99 for the ability to play it. 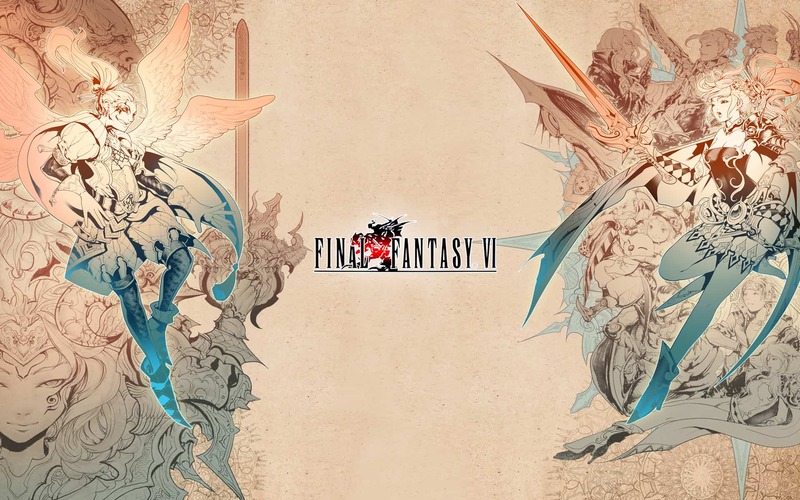 Lastly, it should be noted that with FFVI, just like with at least a couple of the previous titles that have been ported over, you have to be connected to data to play the game, probably as part of the security check to make sure the game is genuine. If you wish to pick up Final Fantasy VI for android, you can now do so by hitting the link to the Play Store, and enjoy it if you pick it up as this will most likely be the last game in the series we will see come to Android for a while. The post Android Retro Game Of The Week: Final Fantasy VI appeared first on AndroidHeadlines.com |.